We hosted a very fun group of birders at the lodge this April. They recently corresponded with us to thank us for their enjoyable stay and to report their bird sightings, which we were interested to hear about. We were absolutely amazed with the diversity and amount of bird species they observed during their weekend stay. One of the birders, Mike Van Valkenburg from Fergus Falls, shared this gorgeous photo of pasque flowers (also commonly known as crocus flowers), one of the many beautiful wild prairie flowers on the Coteau. We want to thank you for the great time we had at the CDP Lodge. 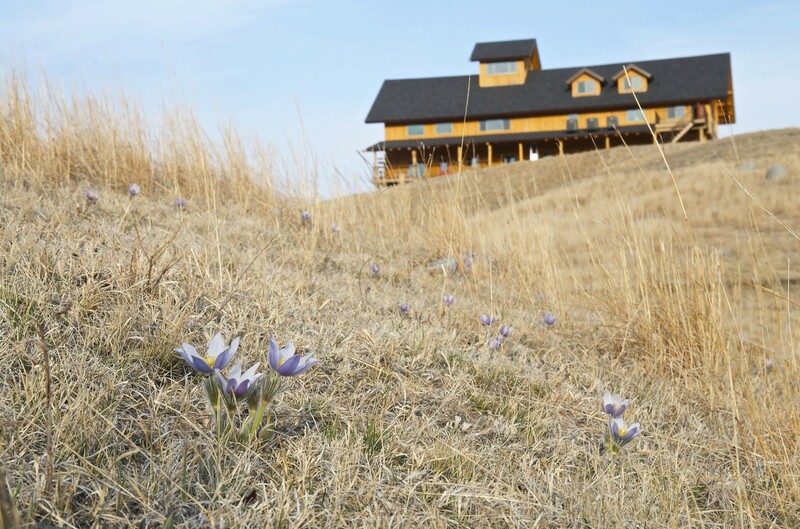 The lodge was the perfect place to stay for our spring birding weekend in the prairie pothole region of North Dakota. We had a group of fourteen birders stay at the lodge on April 11th and 12th. Some of our group were very experienced birders and others were not. That combination made for a nice mix with lots of discussion and teaching. We had hoped to time our trip to coincide with the spring migration through the Tewauken Refuge area, and fortunately, we hit the timing pretty closely. The ice had just gone off most of the small sloughs and lakes. Refuge staff had estimated about 40,000 Snow and Whitefronted geese on the Refuge the week before our trip. Although many of the geese had moved on, we located about 10,000 resting on Alkali Lake just north of the Refuge. Other waterfowl were moving into the area in large numbers. The spring plumage on the big divers and puddle ducks was fantastic. We saw large numbers of hawks, a few songbirds and some prairie species were just arriving. On Friday afternoon and Saturday we spotted 75 different birds. See list below. One of the highlights of the weekend was getting acquainted with people from the Rutland area. We shared the lodge with a great group of women who are avid quilters. They get together every year for a big quilting weekend and the last two years have been staying at the lodge. They set up all their sewing machines and equipment and quilt nonstop. As luck would have it, some were also very interested in birding. We were invited to a nearby farm and spent most of one morning walking on mowed trails along the edges of some wooded areas and small potholes. We really enjoyed it. An areal photos of their farm (and in fact the whole region) looks like a sponge. Water is everywhere, just fantastic bird habitat. Another pleasant surprise was the pasque flowers. 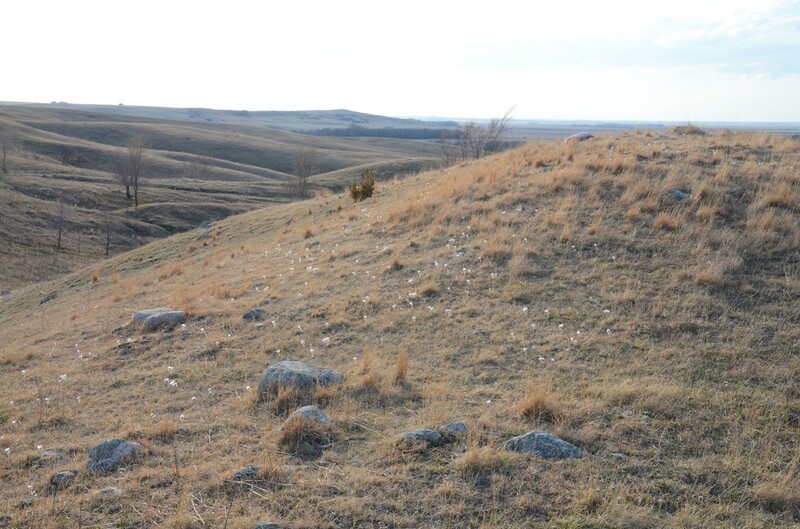 As you know, the lodge sits on a native prairie ridge and it was covered with flowers. We took a walk on the ridge and enjoyed a really nice evening with a full moon rising. Everyone in our group was impressed with the lodge itself. We want to thank Olivia for coordinating our trip (even helping us connect with a nearby repair shop on a Friday night to fix a broken vehicle). The rooms were clean, the coffee was great and the view was spectacular. We prepared most of the meals ourselves and appreciated that the kitchen was big and well equipped. We did get downtown to check out the Rutland Cafe and Lariat Bar and enjoyed that as well. So all in all, with the people, the birds, great accommodations and food, we had a wonderful time. This is another great photo from Mike Van Valkenburg showing the pasque flowers blooming on a hillside near the lodge. 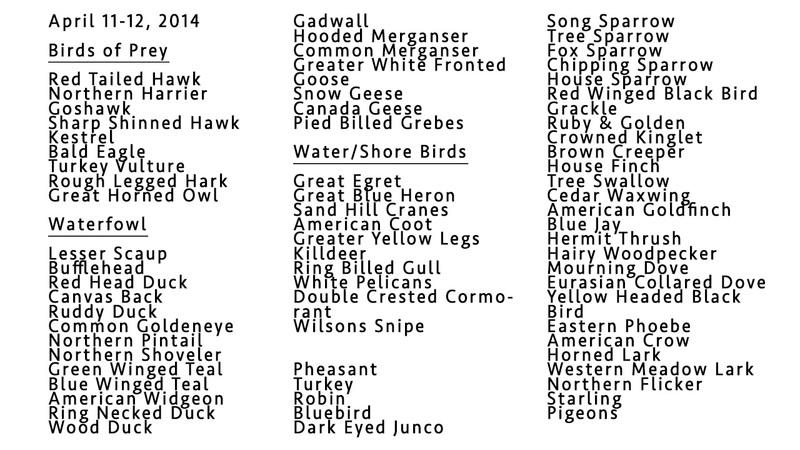 Below is the list of birds observed over the weekend.